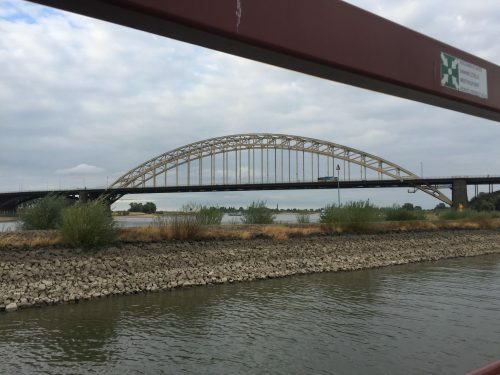 An eye-opening week in Nijmegen! Thank you for clicking on my blog! I am new to this kind of thing so I’m not quite sure what I’m doing but I will give it a go. To give you a bit of background about myself, my name’s Molly and I have just graduated with a degree in psychology from Soton! In the summer following my final year I decided to apply for a summer school. I had no idea where I wanted to go, I just felt that I should make the most out of the opportunity offered. 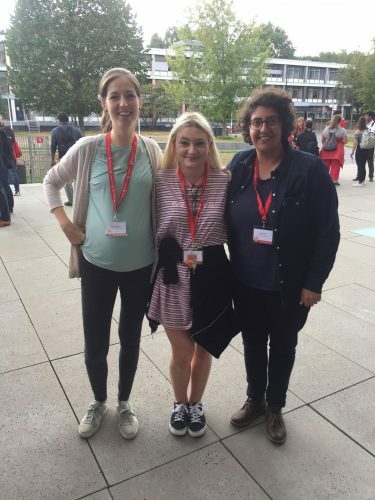 There were summer schools all over the world, and also an amazing scholarship of £500 to help with cost- I couldn’t believe the opportunity that I had come across. I ended up choosing Radboud University in The Netherlands, as I liked the look of the campus and the course structure seemed interesting. This was all I had to go on, everything else was unknown to me. 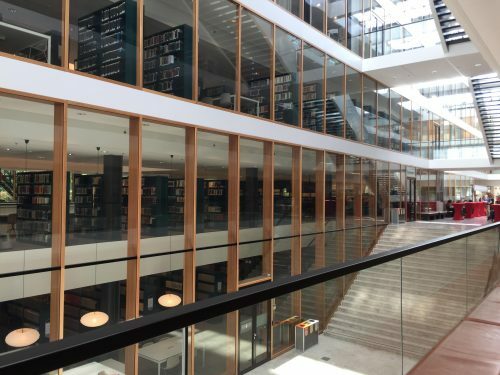 Here I briefly review several parts of my experience, which will hopefully help any of you thinking about applying for summer school! Travel: I had never travelled alone before so this was the thing that I was most worried about. However, everything was well signposted and I had nothing to be concerned about. Even when I arrived in Holland, everything was easy to follow (their signs are in Dutch and English!) I purchased a public transport card which can be used on buses/trams/trains all over Holland, which really kept the cost of my summer school down. On the way to the summer school from the airport, I had to get several trains and buses. Again, I was surprised at how easy this was to get to grips with. A worker at the airport printed off my journey for me which included all of the changes, stations and stops- he couldn’t be more helpful. During my stay in Nijmegen I mainly travelled on foot. I was shocked at how many Dutch locals spoke English, and they were always happy to help which made me feel safe. The university also offered free bikes to rent- but I was way too scared to take on the bike traffic in Holland, which is known for being fast-paced and scary! Overall the cost of travel was next to nothing, and was definitely a much easier process than I was expecting. The thing that I was worried about the most ended up being one of my most favourite parts of my trip! Food: This was something else I was worried about as I’m pretty bad at cooking! Classes started early, but there were plenty of places on campus to get breakfast, which offered all the essentials (hot and cold drinks, fruit, pastries, breakfast bars etc.) Free tea, coffee and water was also available all throughout the day. We were given lunch vouchers for the value of 7 euros, which doesn’t sound like much, but was enough for a main meal, drink, side salad and dessert. Each day the university canteen offered a range of main meals. Honestly I cannot give the food enough credit- it was all well cooked and so delicious, and always kept me full up for a day of studying. I even ended up going back to the canteen for dinner most nights! On a couple of evenings I went into the city and ended up eating there, where there were at least 50 different eateries (including chains found in the UK). All the food was delicious and didn’t cost me more than 50 euros for the whole week. I even got the chance to try some traditional Dutch food (which I loved)! 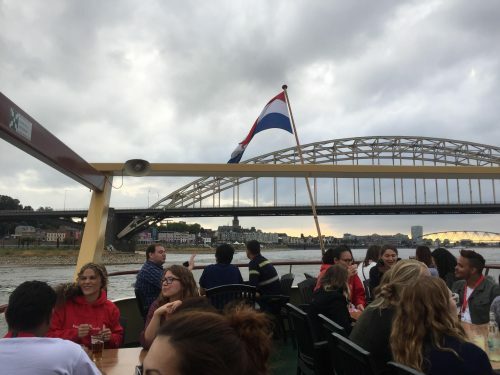 Overall, all of the food in Nijmegen was tasty and well-priced (two of the most important things for students). 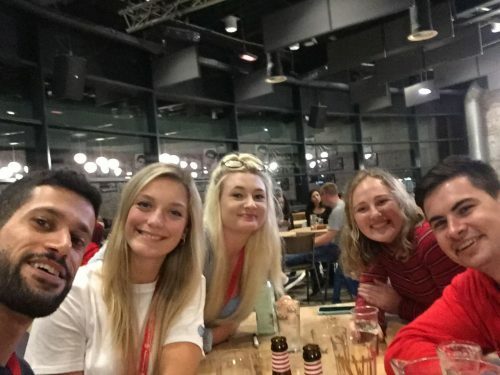 Social activities: The summer school offered a range of social activities, including a boat trip, a pub quiz, sport, a city tour, a BBQ, a guest lecture and lots more! Some of them were free and some of them had a cost, but they were all reasonably priced (I think I paid a maximum of 15 euros for an activity, but this included all travel costs and set-up). It was a great way to meet other people who were also studying at the summer school, and I got talking to so many different people. The best part was the leaving BBQ on the last night as it was a good way to properly say goodbye to everyone I had met. 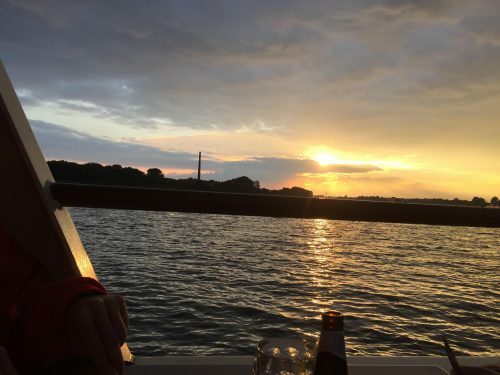 I also loved that the activities were optional, as it meant that some nights I could explore the city or have a night to myself (meeting new people was tiring). 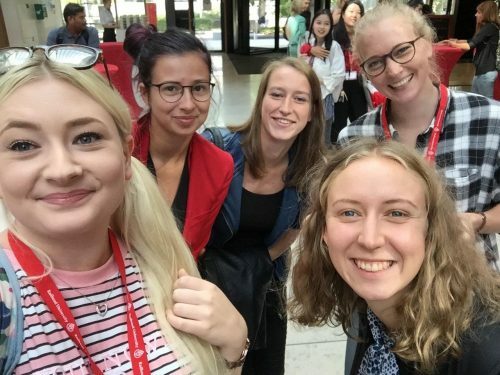 It was great how the summer school wasn’t just focused on academic studies, they also really cared about us meeting new people and making friends. Cost: As I already said, the cost of food and travel was so cheap! I took 200 euros spending money and didn’t even spend half of it. My flights were pretty cheap too, and this was booking them only a week or so in advance- they would have been a lot cheaper if I had booked earlier! The accommodation was roughly 300 euros, but I personally thought this was really good considering the location and facilities (see below). What’s more, the Southampton Opportunity Scholarship offered by Soton meant that my flights and accommodation were covered at no extra expense to me. This was a huge benefit, as I don’t think I would have been able to afford it otherwise! Overall, there is a lot of financial support from the uni for people heading off to a summer school- I definitely wouldn’t let this be an off-putting factor! Classes: This was my favourite part of the summer school. The course was so interesting, and I learnt so much that has helped me to prepare for my Master’s course. Even if I wasn’t doing further study, the things that I learnt on the course will be so valuable for my career. 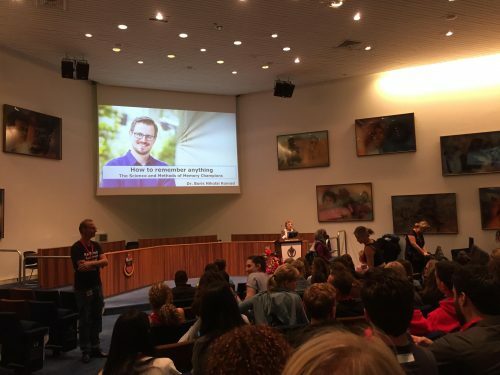 The course leaders were lovely, and we also had lectures from well-known experts which meant I had the chance to network and organize additional work experience opportunities for the future. Classes ran every day from 9-5, but we were given plenty of breaks and it was never boring. They combined theory and practical work so that we weren’t sat down all day which was great. I was not too easy or too difficult, and I came away feeling that my knowledge in clinical psychology has grown so much! Friends: Everyone I met was so lovely! Don’t forget that everyone is in the same boat, so everyone is nervous and worried about making friends. I made friends as soon as I got to the opening ceremony on the first night- people just get talking. You’ll realise you have so much in common with other people there. The social programme I talked about is also a very easy way to make friends, and you are also with the same people in your classes all week which is nice. You’ll end up seeing people that you’ve met around campus all week, meaning that you’re never stood alone awkwardly. Even for someone socially anxious like me, they make it very easy for you to make friends! I met people from so many countries and cultures, and now have friends all over the world! I even have a free place to stay if I ever go to Belgium, Germany, South Africa or Israel! Accommodation: This was much better than expected. The room was comfy and furnished just like uni accommodation in the UK would be. 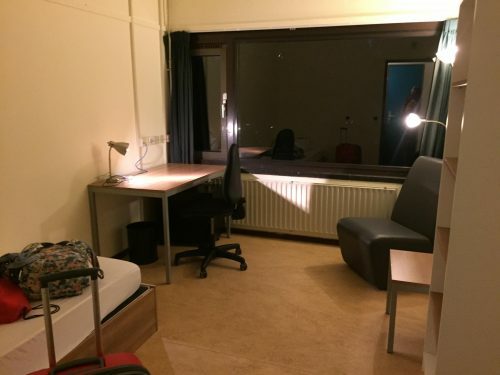 There was the option of accommodation in the city centre or closer to campus, meaning that I could tailor my summer school experience to suit what I wanted. I also had access to a shared kitchen and a bathroom shared with one other student. The only slight problem I had was that the kitchen did not have any utensils, so I couldn’t really cook anything in there. However, we were informed about this beforehand, and I ended up eating out anyway so it wasn’t really a problem! In general, the rooms served its purpose as being a safe and comfortable place to stay in a foreign country.